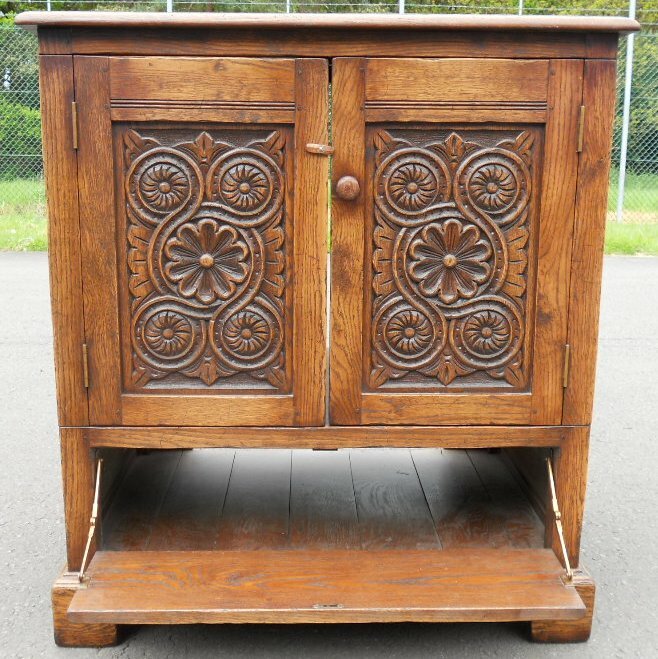 Good heavy quality, well made oak television cabinet, having panelled sides and raised on bracket feet. 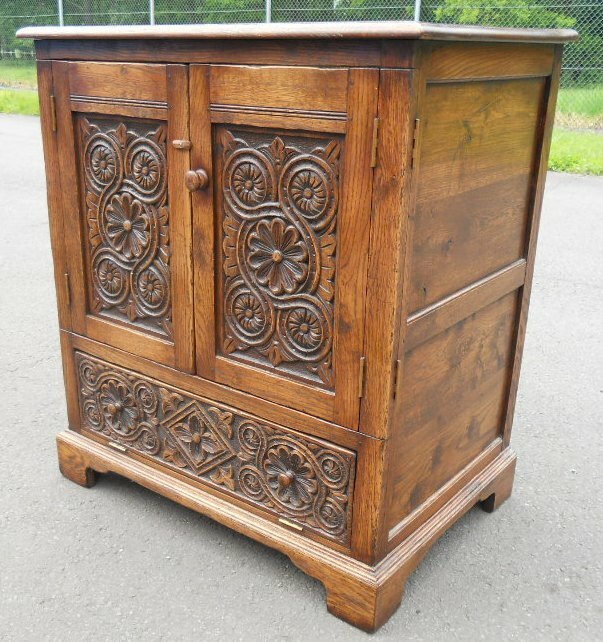 With upper twin opening cupboard doors with carved fronts revealing well made oak interior. 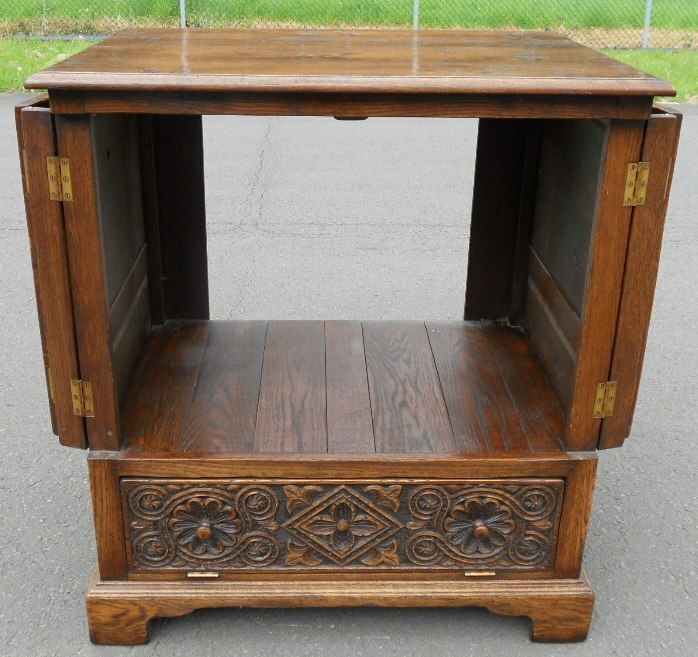 Originally for TV storage, but equally could be used for bottle storage, games storage, etc. 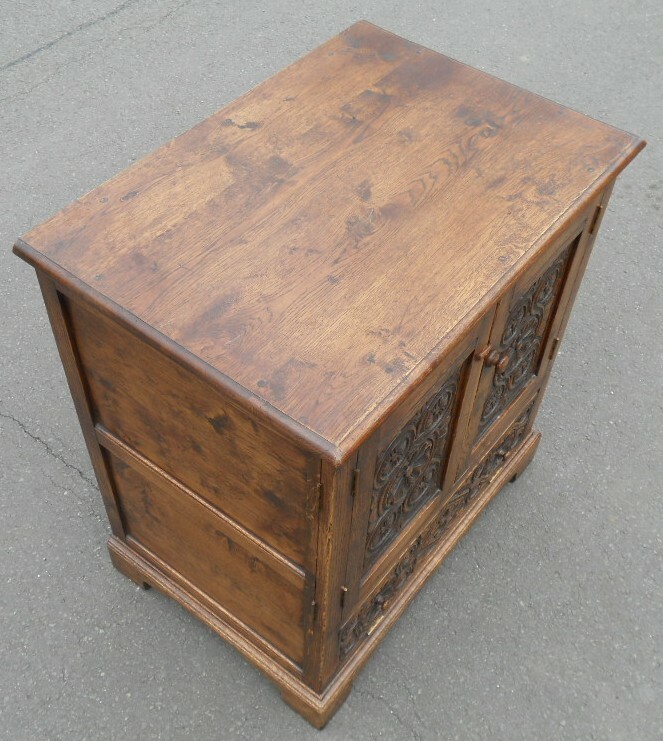 Having lower fall down carved drawer front, originally for DVD use. 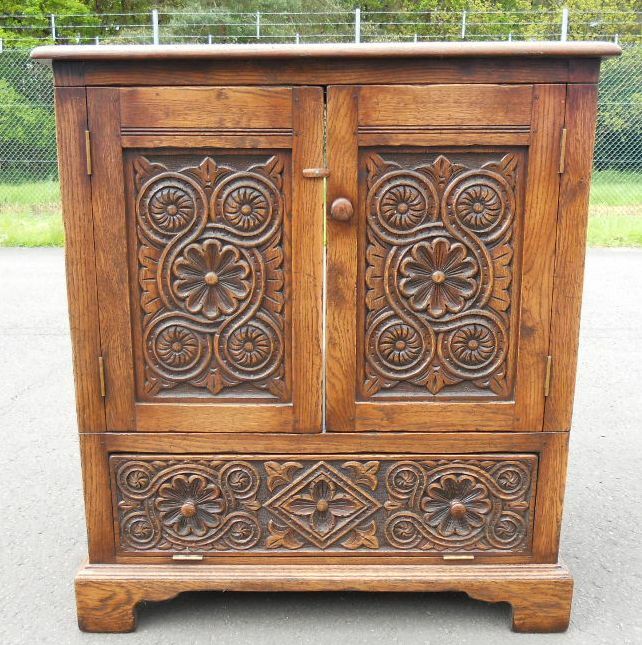 This extremely well made, heavy quality oak television cabinet is in good condition throughout. Interior Measurements: Height 21" x Width 28"